Nissan is looking to expand its EV line-up beyond the Leaf. Having received permission from Japan’s Ministry of Land, Infrastructure, Transport and Tourism, Nissan announced on September 29th that it would be starting trials of its New Mobility Concept EV on public roads starting in the area around Nissan’s HQ in Yokohama. The Yokohama trial will be divided into two phases. The first will be from October 15th to 28th and be centered around people connected with Yokohama’s Motomachi shopping district. The second phase will be open to local residents and tourists and will be run from November 17th to 30th. Participants must be 21 and above and have had a regular passenger car license for 3 years or more. 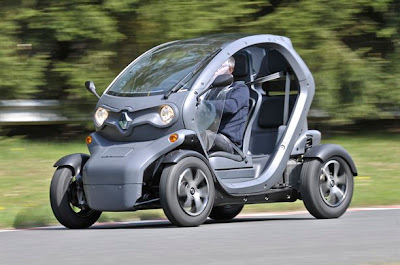 Nissan’s 2-seater is based on it’s sister company Renault’s Twizy. It is 2.34 meters in length and 1.19 meters wide. With a height of 1.45 meters, it will be big enough to carry two adults. It will have a top speed of 80 km/h and be able to travel 100 km between recharges. Nissan will be providing 7 vehicles at no cost to the city of Yokohama and is hoping to get usage data from a range of drivers, including older people and tourists, as well as researching the social needs for very small vehicles like these.